A large section of the iconic rock formation the Island Archway, on Victoria's west coast, has succumbed to the elements and crumbled into the sea. Parks Victoria believes the fall occurred sometime between 4pm on Tuesday and 9am yesterday. 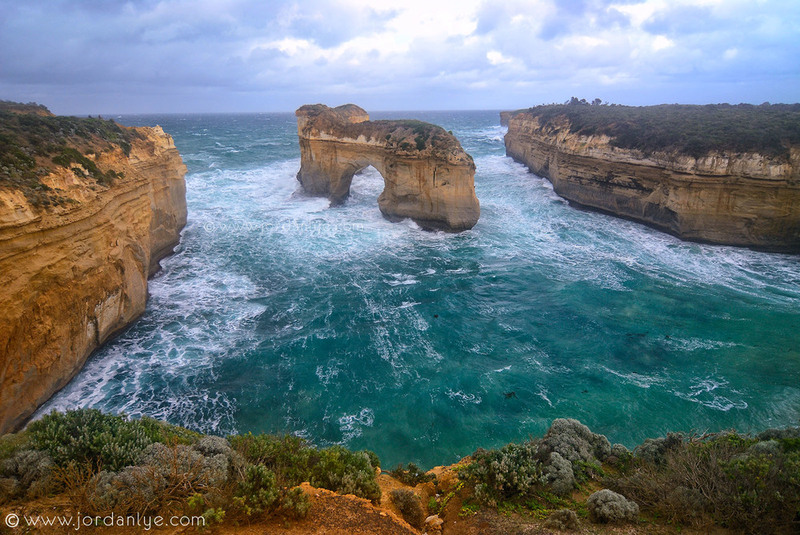 As its name suggests, the impressive rock formation on the Great Ocean Road resembled an archway rising 25 metres from the sea. All that remains following the collapse are the two rocks that previously supported the arch. I was fortunate to see and capture this shot in 2007, there is totally a new landscape by now, and this shot will be history too.